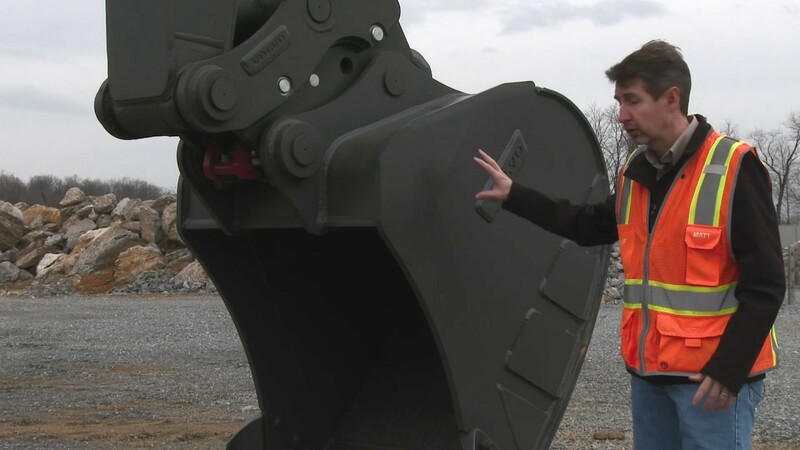 The EC200E excavator fills a gap between the company’s 16- and 22-ton offerings, at 20 tons. Maximum digging reach is 32 feet 9 inches, and maximum digging depth is 22 feet 3 inches. Lifting capacity is 16,138 pounds, and breakout force is 33,500 lb.-ft.
An attachment-management system allows operators to pre-set flow and pressure for up to 20 attachments. The 154-horsepower D4 Volvo engine is Tier 4-F, and emissions aids include auto idling, auto shutdown, and Eco mode. Operating weight runs from 44,974 to 54,388 pounds. Below is a walk-around video provided by Volvo.